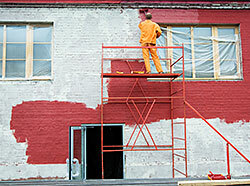 Painting is a very important part of any kind of new construction, be it residential, commercial, retail or industrial. California Creations has a specialist team of painters who handle all types of painting jobs- large and small in and around San Fernando, Santa Clarita, Simi Valley. If you are redecorating your home, or revamping your store or office and need a quality painting job, then we are the company to contact. We have a very deep understanding about the different types of paint products in the market and can provide you with various options. If you have some ideas about how you want the paint to be, we will handle it for you with expertise and efficiency. If you are not too sure about the final look you are aiming for and want some help with deciding color themes and the textures that you want to use, we can help with that too. We will take the time to understand the kind of ambience you are looking to create and based on the décor in your house; will suggest different textures and colors of paints for different rooms. Painting for homes is very different from painting for commercial, retail or industrial premises. Commercial and office spaces are oriented towards work while any painting that is carried out in retail outlets is more customer centric. Though it might not seem like industrial places need to focus too much on the color that goes onto the walls of factories and warehouses, the fact is that color can impact productivity levels in any workplace. Concrete surfaces and the landscaping are not harmed or damaged in any way. In case of any commercial, retail, institutional and industrial painting works, we work multiple shifts and ensure that you suffer the least downtime. All the work will be handled in a safe, professional and efficient manner. 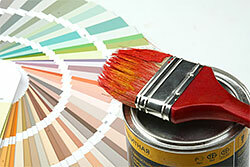 Regardless of the nature of the painting job you need done, California Creations has just the right solution for you. Contact us today via our online form or on and get painting information and quotes.